Bloomberg London sits at the heart of the modern City of London and at the centre of the Roman town. Discovered in 1954, the Temple of Mithras was a hugely significant archaeological discovery that captured the imagination of the people of post-war Britain. After careful excavation in the 50s the temple’s remains were put in storage and in the 60s it was reconstructed. Positioned 100 metres from the original find spot, above a carpark, the reconstruction was not entirely sympathetic to the original remains. It did however serve as a powerful physical reminder of the site’s rich heritage and became a regular stop-off for tourists. It was listed by Historic England in 2007. When Bloomberg acquired the site in 2010 to construct their new European headquarters they were fully aware of the heritage assets on the site and the responsibilities that came with that. 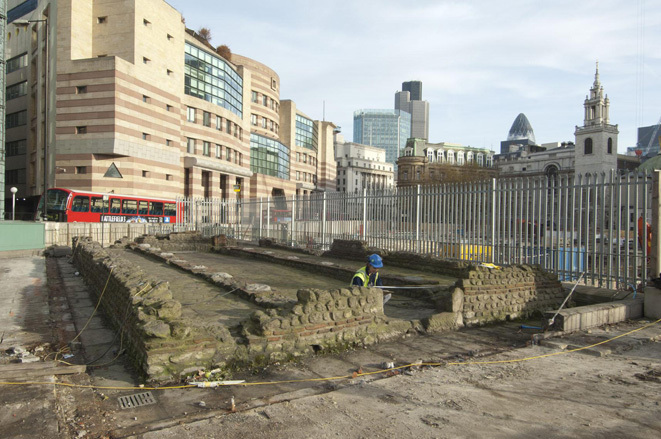 The City of London set out a series of planning conditions to protect and make the most of the site’s archaeology. As well as extensive excavation and study of the archaeology of the 3 acre site, which led to the discovery of the largest collection of artefacts from a single site in the capital, Bloomberg took on the project to rehouse the temple, moving it back to its original location, in a publicly accessible exhibition space. Working with our archaeological consultants and specialists, Bloomberg began work dismantling the temple and planning for its rebuilding. 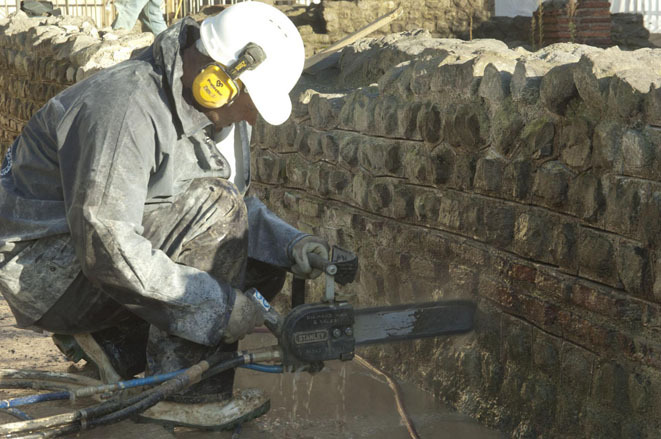 In 2011 diamond tipped chainsaws cut through the cement that held the remains together. The remains now in storage, our consultants helped Bloomberg to bring together a multi-disciplinary team to work on the design, interpretation, conservation, build and ongoing care of the temple. Due to open to the public in 2017, the new reconstruction ‘The London Mithraeum’ is an example of how archaeological remains can be successfully integrated into a development scheme. The temple reconstruction will sit within the pioneering and sustainable development. Close liaison between our heritage professionals, other specialists and the construction partners, means that this reconstruction is something that all parties can commend and celebrate, from Bloomberg and the City of London to archaeologists and the local community. We worked with the client to engage neighbours and stakeholders through archaeology.